Media company stocks have performed fantastically well this year, but now Wall Street is demanding a reality check. There was an across the board sell-off on Wednesday. It was apparently triggered by new concerns and anxiety about cable cord-cutting. Disney (DIS), which has been a darling of the Dow 30 up until now, ended the day down 9.2%. Time Warner (TWX), the parent of CNN, was down 8.5%. Viacom was down 7.5%. Discovery Communications was down the most -- 12.1%. 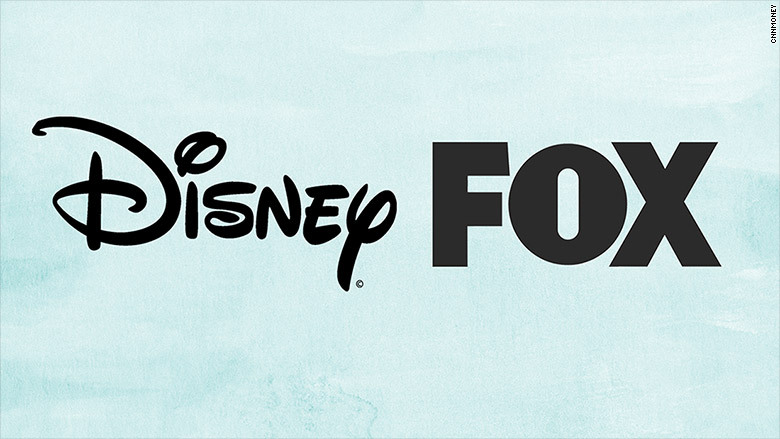 Two other media giants, 21st Century Fox and CBS (CBS) Corporation, reported earnings after the closing bell. Both companies came in ahead of analysts' expectations, yet both companies' stocks were down in after-hours trading. All of the companies rely mightily on fees from cable subscribers -- and there are signs that a small but significant sliver of households are unsubscribing. "The rate of traditional Pay TV cord-cutting does indeed appear to be accelerating," the veteran industry analysts Craig Moffett and Michael Nathanson said Wednesday after reviewing second quarter data. The analysts said it is too early to reach any conclusions, mainly because the country's biggest satellite TV provider, DirecTV (DIRV), hasn't reported second quarter results yet. The springtime is historically the weakest time of the year for cable and satellite providers. But it looks like several hundred thousand households -- out of about 100 million total -- dropped the bundle this spring. That's the kind of finding that stokes fear in the media industry. BTIG Research analyst Rich Greenfield, who is bullish about Internet disruptors like Netflix, said on CNBC that it's "pain that's just starting." Major media executives have generally expressed confidence that most households will remain cable subscribers, even as complementary services like Netflix and Amazon Prime gain ground. On a Wednesday afternoon conference call, 21st Century Fox's new executive chairman Lachlan Murdoch acknowledged "increasingly rapid change" in the television business. "The scale and speed of this change will, to some, be overwhelming," he said. But people are watching more TV than ever, he said happily. "They're just consuming it differently," he said. Fox is forecasting 1% annual declines in subscribing households in the United States. But even small declines in subscriptions hurt the bottom line. 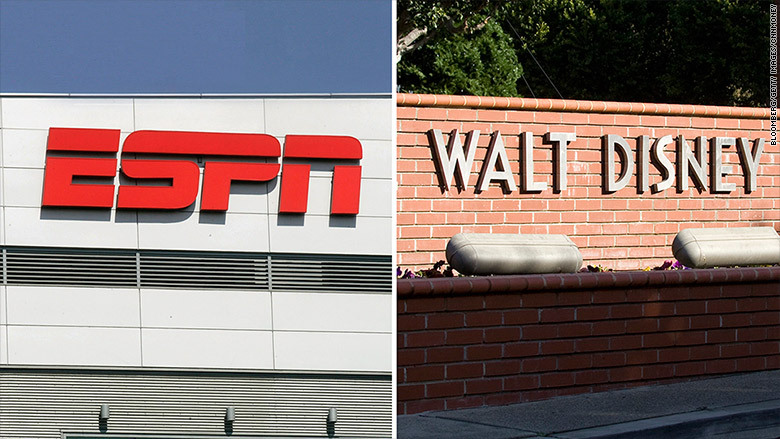 Disney indicated on Tuesday that because ESPN has lost some subscribers, perhaps as many as 3.2 million, the channel's year-over-year profits won't be quite as high as previously expected. Other programmers, like Time Warner, have also signaled that their best-known channels are also shedding relatively small numbers of subscribers. Subscription revenue is all the more important these days because the TV advertising marketplace has been relatively soft. 21st Century Fox's other executive chair, Lachlan's father Rupert Murdoch, said his company's second quarter earnings were "driven by sustained gains in affiliate fees." CBS Corporation chief executive Les Moonves also emphasized his "fast-growing, non-advertising revenue sources." That means subscribers to Showtime and fees for the CBS broadcast network. On his quarterly conference call with investors, Moonves was brimming with optimism, almost as if he was trying to buoy the whole television business. "The heart of our strategy is to create must-have content and position ourselves for the broadband future," Moonves said. CBS and other companies are well-positioned to capitalize on a whole swath of new TV services, like Dish's Sling TV and Apple's forthcoming streaming service. And media companies are launching services of their own. CBS, for example, started selling its Showtime channel via the Internet last month. But there are innumerable question marks about how it's all going to shake out. One thing is for sure: executives at the companies whose stocks were hammered on Wednesday noticed that Netflix's stock closed at a new all-time high.